WASHINGTON (Reuters) - A woman who has accused U.S. Supreme Court nominee Brett Kavanaugh of sexual assault has tentatively agreed to testify before a Senate panel on Thursday, according to media reports. The agreement is in the works for California professor Christine Blasey Ford to possibly testify on Thursday, but details have yet to be finalized, CNN and other media reported late on Saturday. The report said that her lawyers will talk again on Sunday with Senate officials. U.S. Senate Judiciary Committee Chairman Chuck Grassley had set a Saturday afternoon deadline for Ford, who has accused Kavanaugh of sexual assaulting her at a high school party 36 years ago, to decide whether and how she will testify. "Dr. Ford accepts the committee's request to provide her first-hand knowledge of Brett Kavanaugh's sexual misconduct next week," Debra Katz and Lisa Banks, Ford's attorneys, said in a statement. "We are hopeful that we can reach agreement on details." The news site Politico cited a source as saying representatives of Ford and the committee would talk on Sunday to work out the specifics of her testimony. A White House official said it appeared that Ford's lawyers were trying to prolong negotiations. "We look at this statement as a delay tactic," the official said. "The White House sees this as not an acceptance. "Senate Republicans went from looking accommodating and generous to looking like they are getting played unless they see this as stalling and a delay tactic." White House spokeswoman Kerri Kupec said the statement from Ford's team did not appear to move them closer to a fair hearing and that Kavanaugh was eager to testify as soon as possible. Senator Orrin Hatch, a member of the Republican-controlled Judiciary committee, also expressed skepticism. "Worth noting that this is exactly where we were on Monday morning," he said on Twitter. "Without agreeing to a date, time, and terms we are no closer to hearing from Dr. Ford then we were when her lawyers said Dr. Ford was willing to testify during their media tour 6 days ago." The committee had delayed a vote on Kavanaugh's confirmation after Ford's allegations emerged last week and her lawyers were negotiating with committee staff the conditions of her testimony. White House spokeswoman Kupec said in a statement late on Saturday that the four other people said to have been at the party have "provided statements to the Senate Judiciary Committee denying any knowledge of the incident or even having attended such a party". Confirming Kavanaugh's nomination would cement conservative control of the Supreme Court and advance a White House effort to tilt the American judiciary farther to the right. Grassley had said earlier that the panel would vote on Kavanaugh's confirmation on Monday unless a deal was reached with Ford's lawyers by a Friday night deadline. Katz had said the deadline was "aggressive and artificial." "Your cavalier treatment of a sexual assault survivor who has been doing her best to cooperate with the Committee is completely inappropriate," Katz added. On Friday, President Donald Trump sought to cast doubt on Ford's allegation that Kavanaugh sexually assaulted her in 1982 when both were high school students in Maryland. The judiciary committee has struggled with how to proceed with Kavanaugh's nomination. Democrats have demanded more time for scrutiny, and Republicans want to move ahead quickly with a confirmation vote in an increasingly volatile political climate ahead of congressional elections on Nov. 6. Trump and the White House had been careful not to malign Ford after her allegations surfaced, but Trump dropped the restraint in his tweets on Friday. 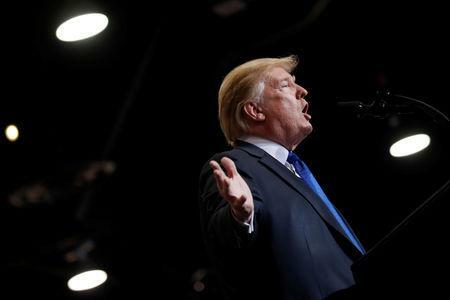 "I have no doubt that, if the attack on Dr. Ford was as bad as she says, charges would have been immediately filed with local Law Enforcement Authorities by either her or her loving parents," Trump said. "I ask that she bring those filings forward so that we can learn date, time, and place! "Judge Brett Kavanaugh is a fine man, with an impeccable reputation, who is under assault by radical left wing politicians who don't want to know the answers, they just want to destroy and delay," Trump wrote. Earlier, Trump had said Ford should be heard, even if it meant a delay in the confirmation process. Republicans will be forced to walk a careful line in questioning Ford's account without alienating women voters ahead of the elections. Before the 2016 presidential election, more than a dozen women accused Trump of making unwanted advances. The Senate Judiciary Committee released a letter it sent to Ford's attorneys on Friday in which it accepted some of their demands, including that Kavanaugh not be in the room when she testifies. The panel rejected some of the other demands, including that Kavanaugh testify first, that the committee call additional witnesses that Ford requests, and that only senators be allowed to ask questions. Senate Majority Leader Mitch McConnell, speaking at a gathering of evangelical voters in Washington, assured them Kavanaugh would be confirmed. The Senate panel must approve Kavanaugh's confirmation before a vote by the full Senate, where Republicans hold a 51-49 majority. Kavanaugh's confirmation to the lifetime position would be the second of the Trump administration and solidify conservative control of the nation's top court. Ford has received death threats while Kavanaugh and his wife also have received threats.